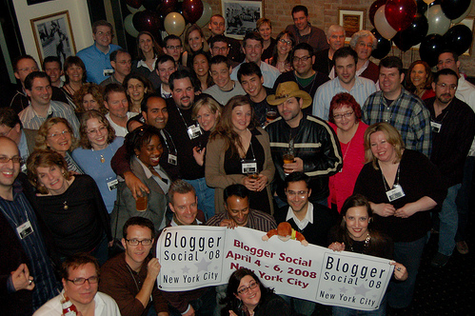 Logic+Emotion: Relationship Renaissance: We're All "Internet Dating"
Relationship Renaissance: We're All "Internet Dating"
"Several weeks ago, approximately 90 people got together in New York City to socialize, network and discuss the future of marketing communications. By the time the weekend was over, many would have established strong bonds that will likely last years. Some will do business together. Others will have made investments that will pay over time. All of them left feeling a sense of "belonging." And most of them had never met in person prior to the weekend. Sound familiar? Well, not so much in the romantic sense, but if you've ever known someone who has tried dating over the internet they will describe a phenomenon where you spend a considerable amount of time getting to know another person virtually. Even though you've never met them before, you feel intimately connected to them through your interactions and communications online. Then one day you actually meet them in person. The "F2FD-Day" (Face to Face Date Day). And you have a million thoughts racing through your mind. Will they be as you envisioned them? Will the relationship be as rewarding as it was online? Will it be better? Or will you be disappointed?"